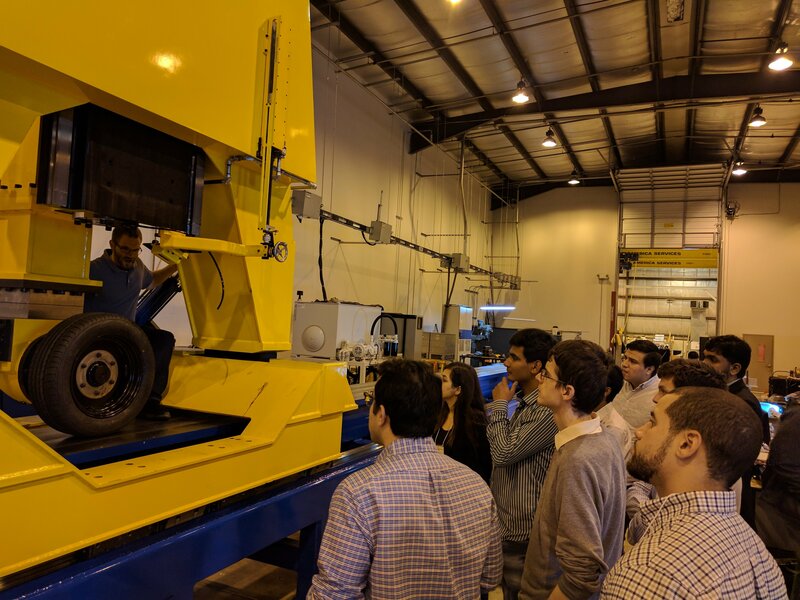 The CenTiRe student group continued their goal of providing students involved in Center funded research with opportunities to learn about the industries represented by the member companies and having opportunities to network together. At the student section session at the Fall IAB meeting the students heard a presentation from Continental Tire. The group then toured the facility of member company TMSI at the completion of the meeting. Thank-you to TMSI for opening the doors of your facility to our students and providing an excellent tour.